Twins Windows & Doors Ltd.
Catch the sun and keep everything else out. A unique way to bring summer inside, even on the coldest winter days. GARDEN WINDOWS give your "green thumb" a chance to work all year round. Plants, flowers and herbs... spring, summer, fall and winter. 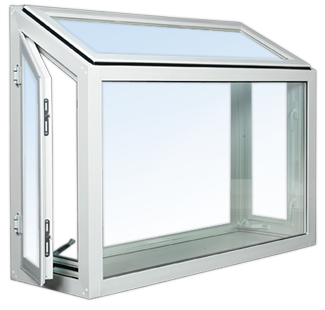 No major construction, no fuss...GARDEN WINDOWS are custom made to fit existing openings. 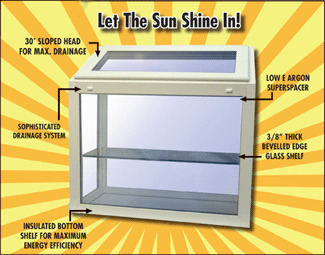 Installation is simple and fast, you should be ready to start enjoying your new GARDEN WINDOW in less than a day. Truth "Pivot Cam" hardware for positive locking action. Custom exterior colours are also available!